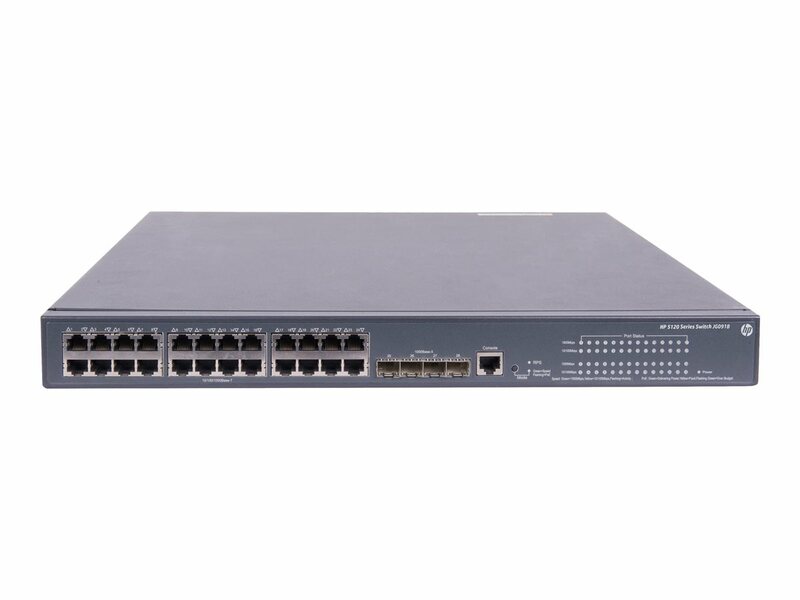 The HPE FlexNetwork 5120 SI JG091B 24 Port gigabit switch with PoE+ are Layer 2 switches that support stacking, static Layer 3 routing, PoE+, ACLs and IPv6. 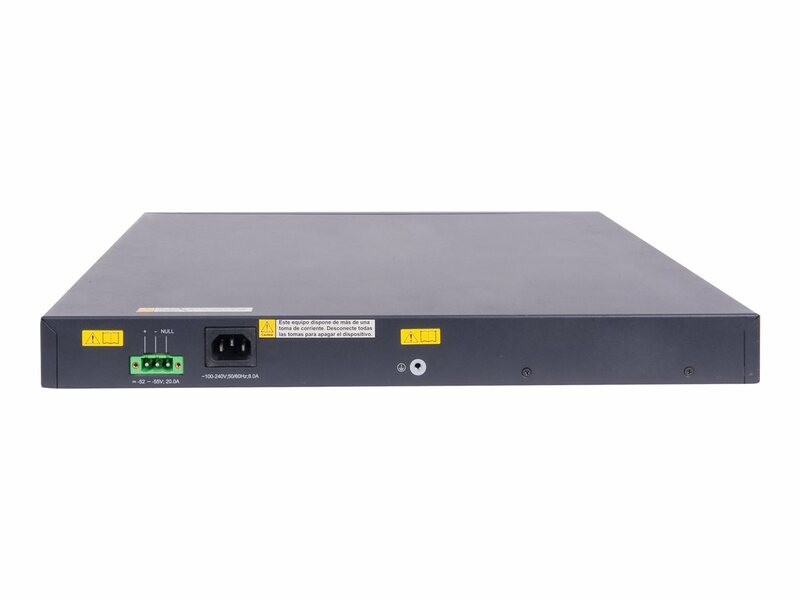 They are campus switches ideal for medium and large enterprise networks. HPE Intelligent Resilient Framework (IRF) technology creates a virtual fabric by managing four switches as one logical device, which increases network resilience, performance, and availability while reducing operational complexity. The FlexNetwork 5120 SI Switch Series can be managed with HPE Intelligent Management Center (IMC) Software for a single view of your entire network. 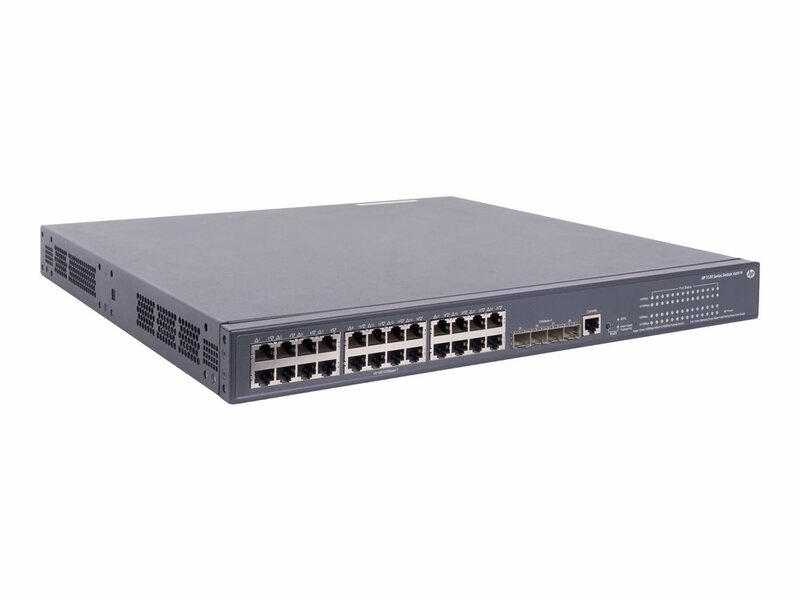 The HPE FlexNetwork 5120 8G PoE+ SI Switch is ideal for medium and large enterprises looking for a traditional, scalable, fully managed Layer 2 access switch with static IP routing, ACLs, IPv6, and support for stacking. The HPE Intelligent Resilient Framework (IRF) virtualizes up to four physical switches into one logical device for simpler, flatter, more agile networks. 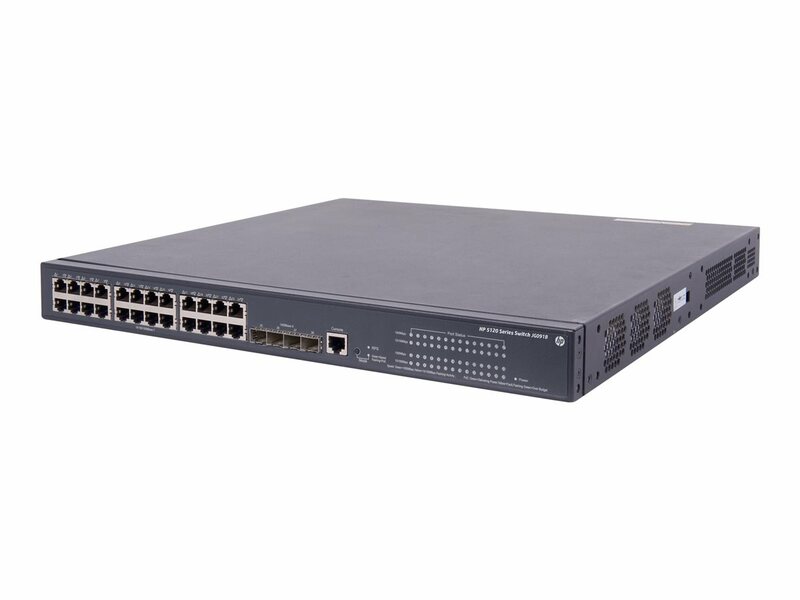 The 5120 8G PoE+ SI Switch supports up to 370 W of PoE/PoE+ power for phones, cameras and wireless access points and up to 720 W with optional accessories. The HPE FlexNetwork 5120 16G SI Switch delivers a better application experience with classifier-based QoS using multiple match criteria based on Layer 2, 3, and 4 information; applies QoS policies such as setting priority level and rate limit to selected traffic on a per port basis. Network traffic prioritization with multiple congestion methods include: strict priority (SP) queuing, SDWRR, and SP+WRR. The HPE FlexNetwork 5120 8G PoE+ SI Switch supports hardware-based wire-speed access control lists (ACLs) for enhanced security and ease of administration without impacting network performance. RADIUS/HWTACACS, SSL, Port Security, and 802.1x and MAC-based authentication deliver enhanced security. The HPE FlexNetwork 5120 SI Switch Series can be seamlessly managed with HPE Intelligent Management Center (IMC) Software to provide end-to-end network transparency with consistent network experience through comprehensive configuration, compliance and policy management. Remote Network Monitoring (RMON) provides advanced monitoring and reporting capabilities for statistics, history, alarms and events. Separate data and control paths: increases security and performance. Spanning Tree/MSTP, RSTP: provides redundant links while preventing network loops. IEEE 802.3ad Link Aggregation Control Protocol (LACP): supports up to 26 trunks, each with 8 links per trunk; supports static or dynamic groups. Smart link: allows 50 ms failover between links. Intelligent Resilient Framework (IRF): creates virtual resilient switching fabrics, where two or more switches perform as a single Layer 2 switch and Layer 3 router; switches do not have to be co-located and can be part of a disaster-recovery system; servers or switches can be attached using standard LACP for automatic load balancing and high availability; simplifies network operation by eliminating the complexity of Spanning Tree Protocol, Equal-Cost Multipath (ECMP), or VRRP. 8K MAC address table: provides access to many Layer 2 devices. VLAN support and tagging: support IEEE 802.1Q with 4,094 simultaneous VLAN IDs. IP multicast snooping: automatically prevents flooding of IP multicast traffic. Internet Group Management Protocol (IGMP) and Multicast Listener Discovery (MLD) protocol snooping: effectively control and manage the flooding of multicast packets in a Layer 2 network. Address Resolution Protocol (ARP): determines the MAC address of another IP host in the same subnet; supports static ARPs; gratuitous ARP allows detection of duplicate IP addresses. Dynamic Host Configuration Protocol (DHCP): simplifies the management of large IP networks; supports client; DHCP Relay enables DHCP operation across subnets. Loopback interface address: defines an address in Routing Information Protocol (RIP) and OSPF that can always be reachable, improving diagnostic capability.